The original USS OLYMPIA was commissioned February 5, 1895. Her first assignment was that of Flagship for the Asiatic Fleet. This led to the historical day at Manila Bay when Commodore Dewey turned to Captain Gridley and ordered "Fire when ready." OLYMPIA's guns were the first to cry out, leading to the destruction of Spain's Asian Fleet. In OLYMPIA's 27 years of service, she performed a variety of duties until perhaps her most honorable mission came in 1921 when she sailed for Le Havre, France to take the remains of the Unknown Soldier of World War I from there to Arlington Cemetery. In 1922, OLYMPIA was decommissioned in Philadelphia. Today, the Navy's oldest steel ship, still afloat, is preserved as a shrine by the Cruiser Olympia Association. USS OLYMPIA (SSN 717) brings to the fleet the virtually unlimited endurance of her nuclear propulsion plant, the most advanced SONAR and Fire Control systems on board submarines today, and an impressive underwater launch system capable of firing torpedoes and missiles. The OLYMPIA is capable of sustained high-speed operations in direct support of the carrier task forces of the United States Navy, as well as independent operations of critical importance to national security. The OLYMPIA is the United States Navy's 104th nuclear powered submarine and the 95th of the attack submarine fleet. 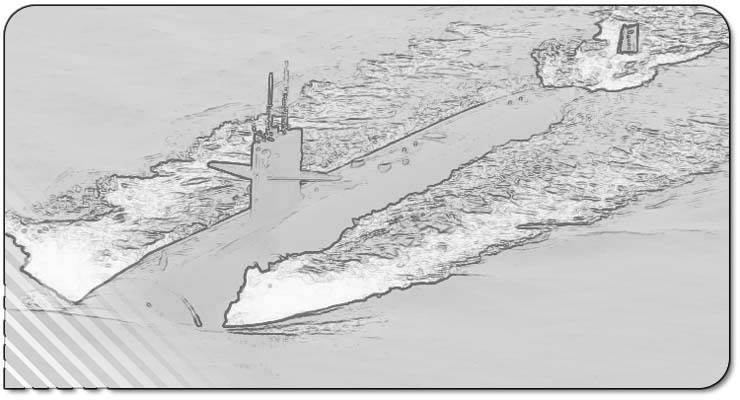 She is the 29th of the Los Angeles nuclear powered fast attack submarine class to be delivered to the Navy Submarine fleet. OLYMPIA began her waterborne career on 30 April 1983 when she was launched at Newport News Shipbuilding and Drydocking Company in Newport News, Virginia. OLYMPIA was christened by Mrs. Dorothy Williams, and was commissioned on 17 November 1984. In February of 1986, OLYMPIA set sail for her new homeport in Pearl Harbor, Hawaii. Since OLYMPIA's arrival in Pearl Harbor she has completed four Western Pacific deployments and numerous other operations. Her travels have taken her to ports throughout the Western Pacific, and four visits to her namesake city in Olympia, Washington. 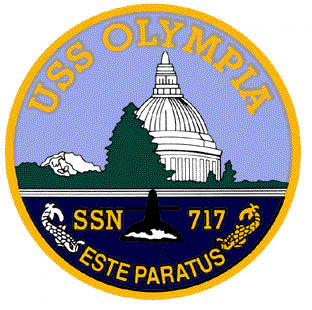 OLYMPIA has earned many awards including the Navy Unit Commendation, Meritorious Unit Commendation, Engineering Excellence, Deck Seamanship and Silver Anchor Awards. As our motto states, "Este Paratus" -- "We are ready!"